40 5”x7” Custom Holiday Flat Cards from Zazzle with Envelopes for $19 SHIPPED! This deal lasts TODAY ONLY -- and you'll be upset if you miss out! 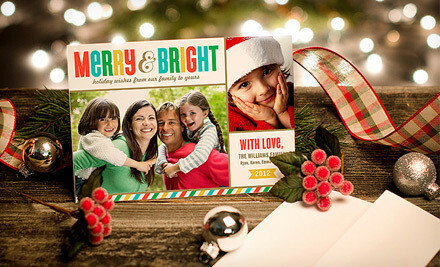 Get all of your holiday cards done for the season for only $19 shipped to your door. All 250+ styles can be customized to fit you and your families needs, full color and double sided printing.